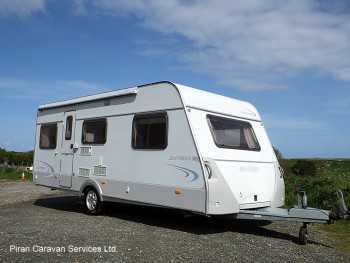 Lovely high spec single axle, 2 berth caravan, with a large lounge and big end washroom. Cleaned, serviced and damp checked. 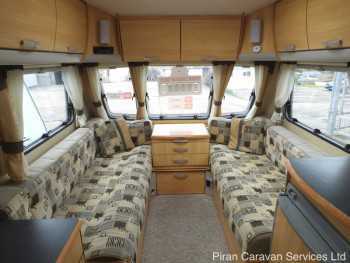 This caravan comes with extras and will be ready to go! High spec, lightweight twin fixed single bed layout on a single axle. Beautiful condition, one owner from new. Valeted, serviced and damp-checked. Includes lots of extras. 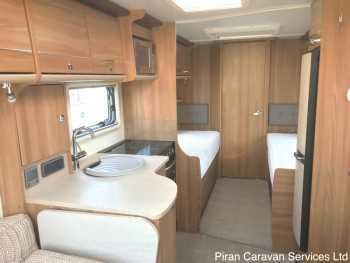 Lightweight single axle 4 berth tourer with Popular fixed bed and end washroom layout. Comes with extras and has been cleaned by us and serviced and damp checked by an independent specialist. 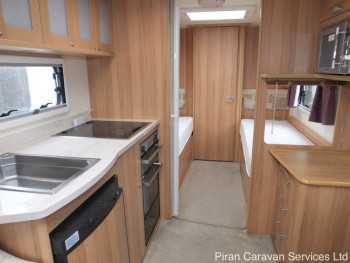 Practical, spacious and high spec 2 berth with huge lounge and big end washroom/changing room. Comes with extras and will be cleaned by us, and independently serviced and damp-checked. 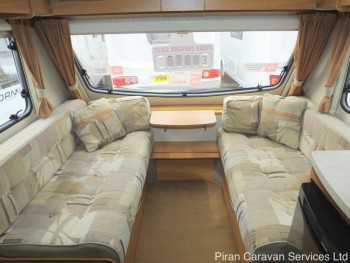 Spacious, practical and comfortable high spec 2 berth caravan on a single axle. Large lounge, kitchen, washroom. Cleaned, serviced & damp-checked and is ready to go! Includes mover and many extras. The last word in luxury! 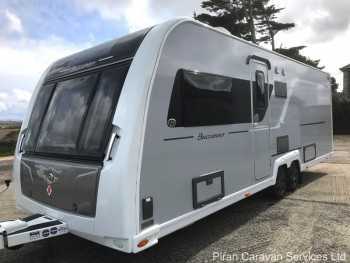 2015 twin axle 4 berth with every option and unbelievable spec. Transverse fixed bed and end washroom layout. Fully serviced and lots of extras. 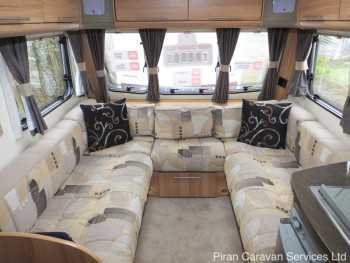 Spacious twin axle 6 berth, side large lounge, side dinette and fixed bunks. 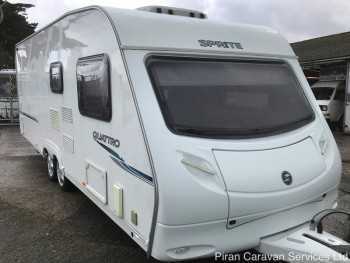 Perfect starter family caravan for seasonal pitches. Will be cleaned, serviced and damp-checked. Comes with extras. 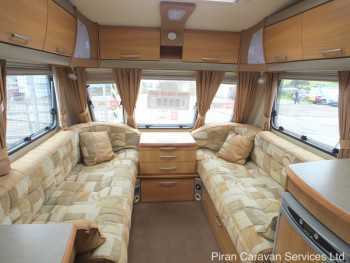 Great value, very high spec 4 berth tourer on a single axle with practical 'side dinette' layout. Ideal for couples or for a family with small children. Inc. extras.Cleaned, serviced and damp-checked. 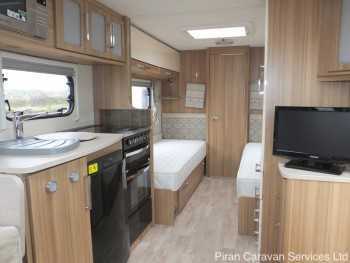 A very well-presented example of this high spec, 4 berth layout, with desirable fixed single beds and large end bathroom. Valeted by us and serviced and damp-checked. Simply stunning 2017 Bailey Unicorn 3 Cadiz with popular single rear beds and end bathroom layout on a single axle. Will have 1st warranty service prior to sale.